I truly love Los Angeles, as everytime I visit I get a new view and feel of this amazing Sunshine State. 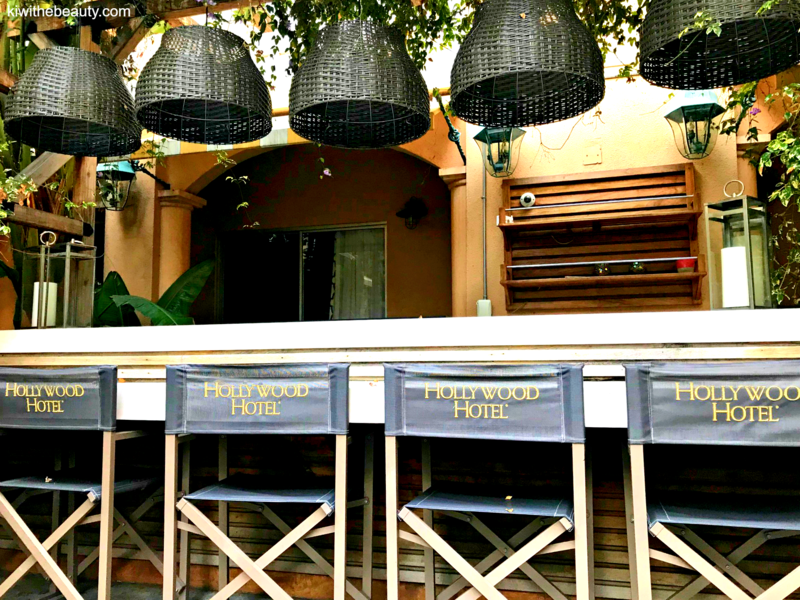 I recently stayed at the Hollywood Hotel, which is authentic to its name as it is a hotel that give you the regal Hollywood energy like you would a vintage movie. Check out in more detail of my historical but modern deco inspired hotel. Combining cosmopolitan California architecture and vintage Hollywood glamour it makes it for a truly unique hospitality experience in Los Angeles. The original Hollywood Hotel was built in 1903 and was known as “the” Hollywood hotel. 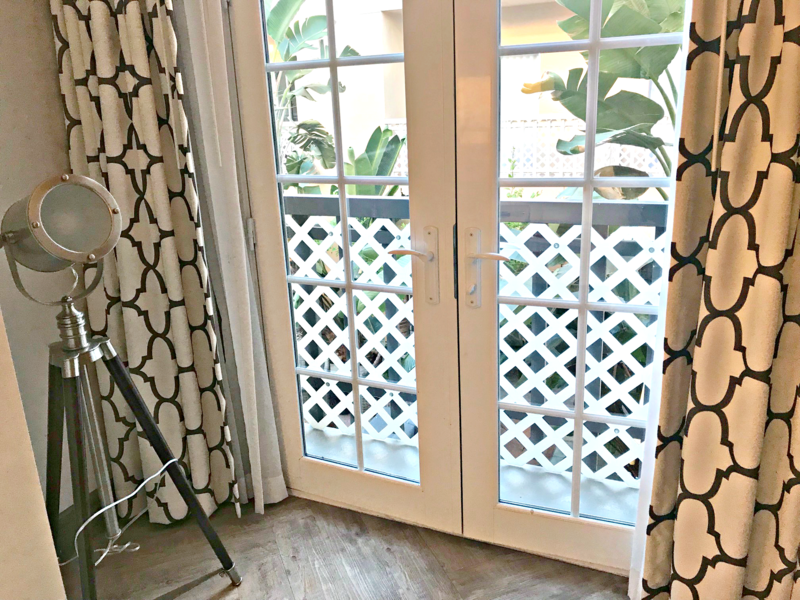 The 1937 movie “Hooray for Hollywood” was filmed on location at the property and first featured the song “Hooray for Hollywood.” You get a great mix of vintage energy with new modern flair. 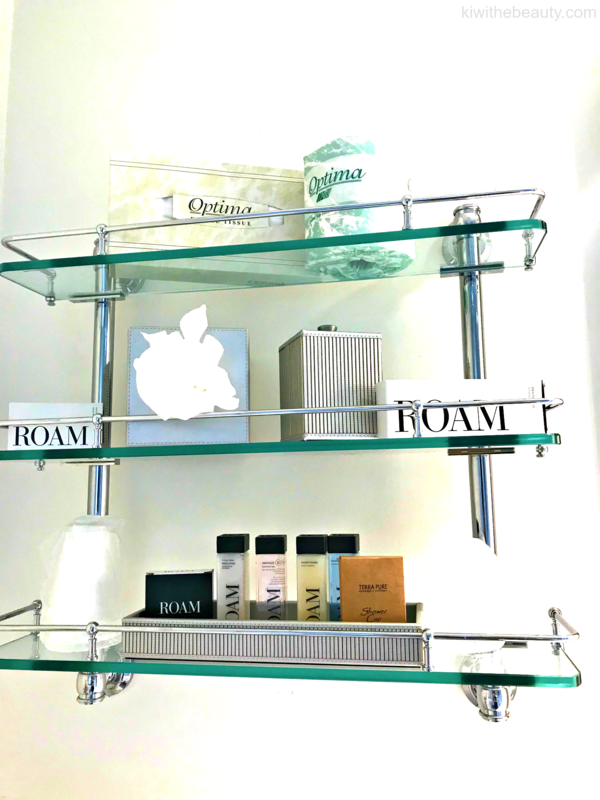 Established in 1903, this 130-room property delightfully fuses old Hollywood glamour with a modern take on deluxe amenities and newly refreshed comfortable rooms. These rooms are extremely spacious including 6 suites, and 4 guestrooms with king size beds. 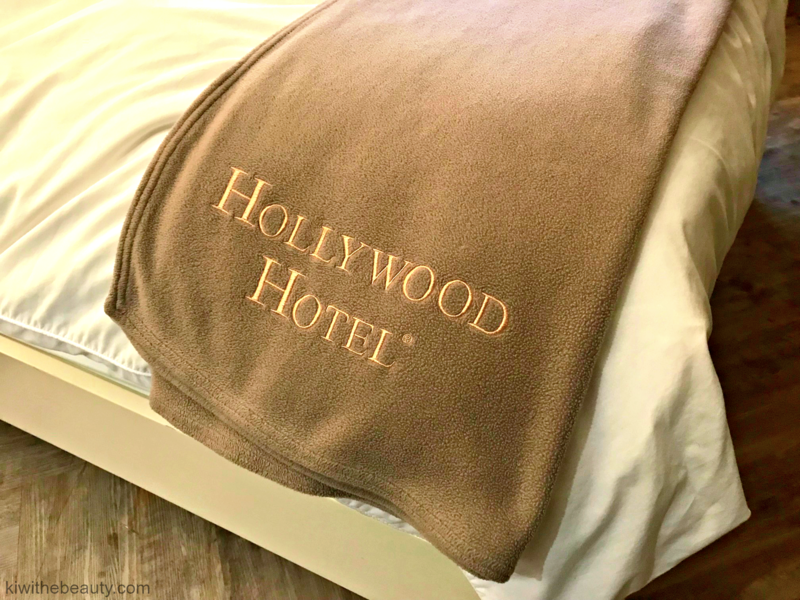 I love the little details in the room, most notable is this Hotel Hollywood custom labeled blanket. Never seen this before in a hotel and I thought it was a beautiful touch to the room. I love going to hotel bathrooms and this one was immaculate! 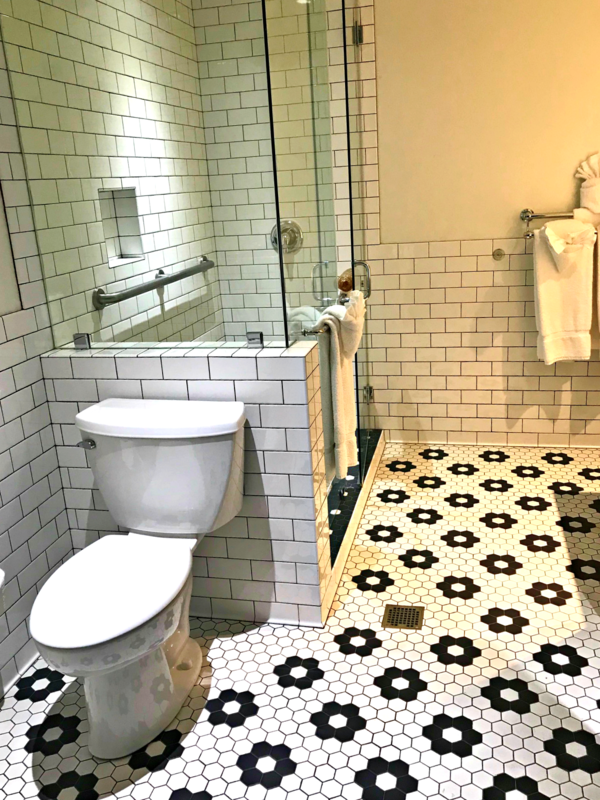 It was open design, porcelain white with black flowered tiled floor. This is definitely moderly redesigned to give you a lush luxury feel . I really enjoyed this hotel room with a balcony. It definitely give you the vintage feel with the double doors and the antique-like movie spotlight nearby. When you open these doors to the balcony, you get an amazing view of the luscious courtyard. 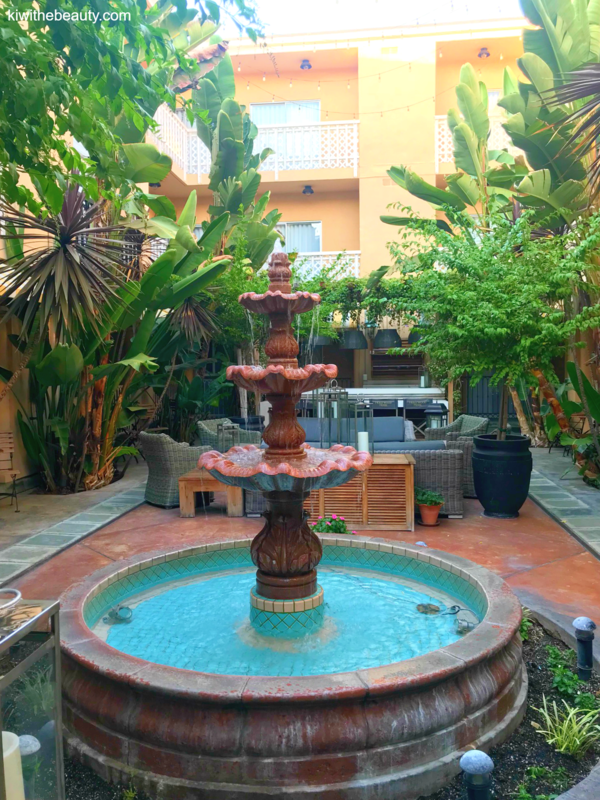 The open-air Fountain Courtyard provides a Mediterranean backdrop for guests to relax and lounge in a stylish and intimate newly renovated space. Free WiFI is available for guests in the courtyard. Interested parties may also book the courtyard for private events. I loved all the greenery that cascaded this courtyard, giving you an urban jungle feel while still feeling like you are in a vintage oasis. Also in the courtyard was this cute little area where there are label movie chairs where you can lounge and relax. Keeping with the theme of the Old Hollywood movie feel. Cute touch to the courtyard. Hollywood hotel features a spacious and refreshed outdoor pool area with a surrounding garden and sun deck. Restoration Hardware lounge chairs, umbrellas and tables evoking classic Hollywood style surround the pool to give guests the ultimate Southern California experience. The pool area is open year-round. 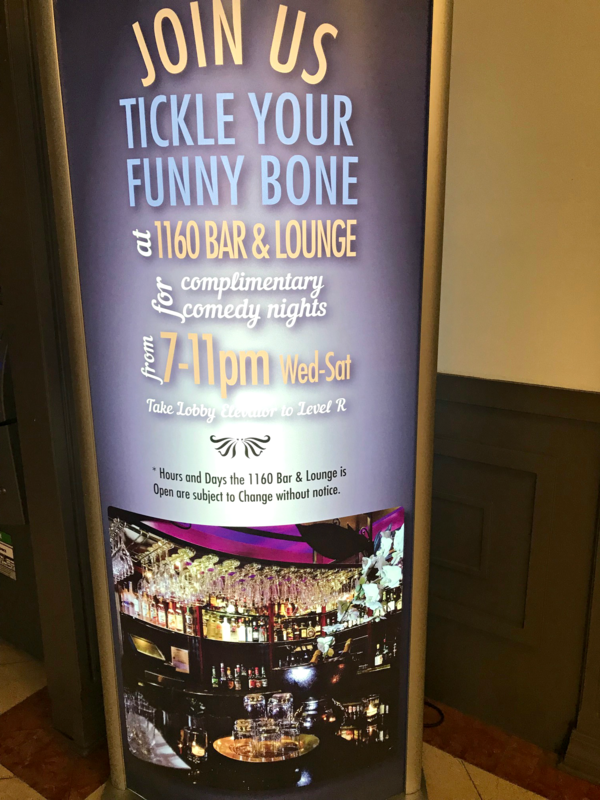 True to the old Hollywood tradition, Hollywood Hotel features its own Comedy Club hosted at the new on-site Route 66 Bar + Lounge. Many A-list celebrities have visited the Comedy Club’s OpenMic Nights, some numerous times, including Jessica Biel, Kristen Wiig, Drew Barrymore, John Krasinski, BJ Novak, Aiden Quinn and NFL running back Doug Martin. 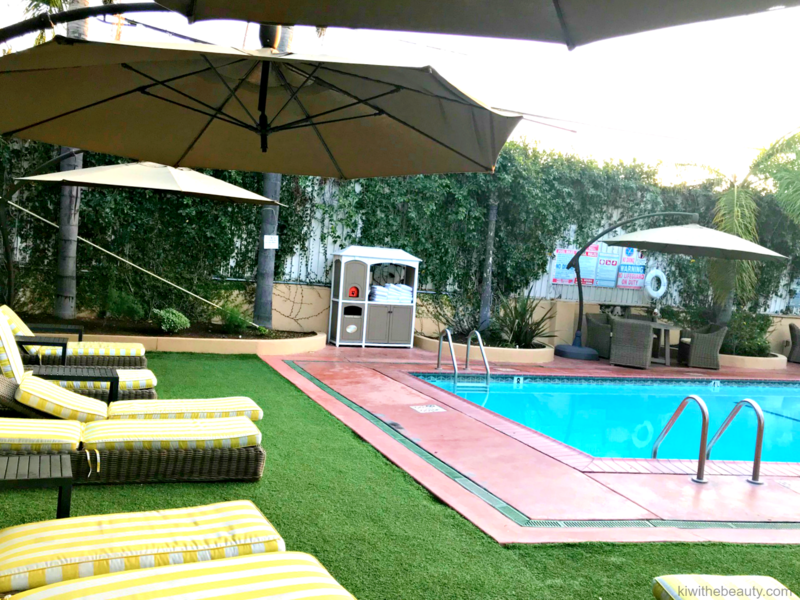 reflects the fresh invigorating attitude of the hotel’s East Hollywood neighborhood, where the atmosphere encourages casual conversation over libations between old friends and new ones. Route 66’s cocktail menu offers fresh, simple and high-quality cocktails, delivering progressive Hollywood Hotel classics, inspired specialty and ever-changing seasonal cocktails, all reminiscent of Hollywood’s golden age. 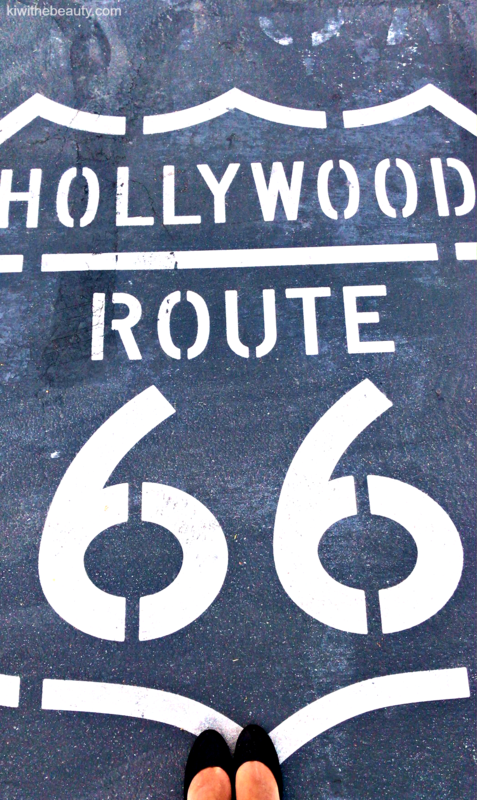 Route 66 also offers an assortment of California craft brews, especially those local to Los Angeles. The bar and lounge is open from 5:00pm – 11:00pm. Hot Buffet Breakfast: A complimentary Hot International Buffet Breakfast is served daily from 6:30am – 10:30am in the Dining Room. Guests can choose from ten varieties of cereal, muffins, bagels, pastries and breads. There is also an “egg station” where guests can order a made-to-order omelet from Chef Hugo with up to eight different fillings, or scrambled, fried or plain egg whites. Sausage, cheese and a variety of cold cuts are also available along with coffee, tea and hot chocolate. Families love the unique Belgian waffle molds, such as a Teddy Bear shaped mold, with various sweet toppings for customization. Vegan guests can enjoy a flour tortilla with their choice of fillings. Guests can also choose from croissants, fresh fruit and four kinds of juice. Fitness: The fitness center is equipped with Life Fitness exercise equipment and free weights and is open to hotel guests from 6:00am-10:00pm daily. Hollywood Hotel also features three indoor saunas with showers and a dressing area. I enjoyed this unique stay at this hotel. You feel like you are staying in apart of history, but with a modern vibe. I always wanted to feel a bit of Hollywood regalness from back in the day, and staying here gave me little reminiscence of that energy. 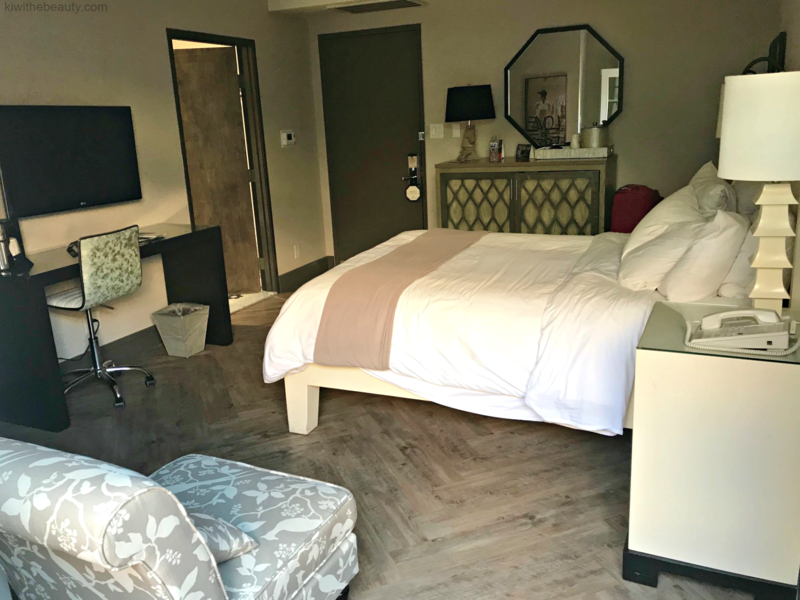 The 130-room Hollywood Hotel is one of the most reasonably priced hotels in the city and offers incredible value in a central location. 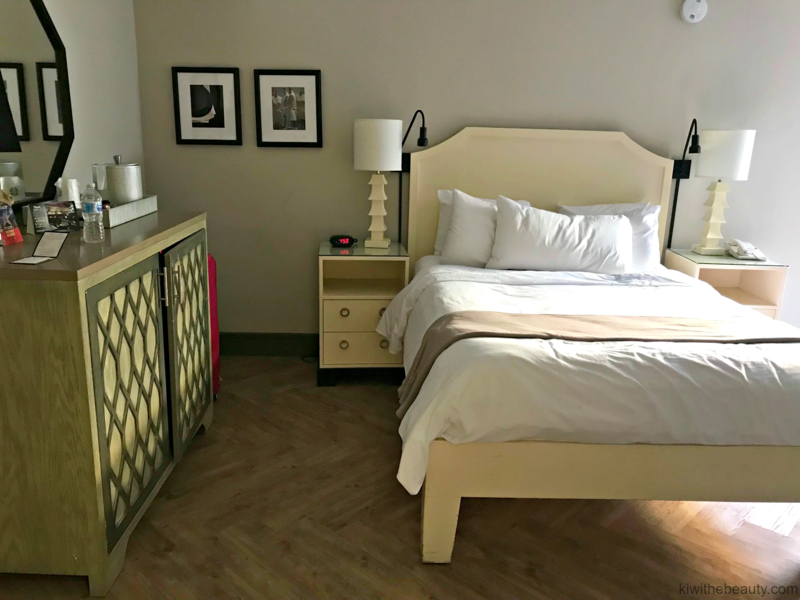 Situated right in the heart of Hollywood, it’s steps away from boutique shopping, world-class dining and cutting edge culture, and the closest hotel to The Hollywood Sign, Grauman’s Chinese Theater, the Walk of Fame, Griffith Park, LA Zoo, Greek theater and Mount Hollywood hiking trails. Guests can even hop on the nearby Metro and explore Los Angeles, or spend the day at Universal Studios. 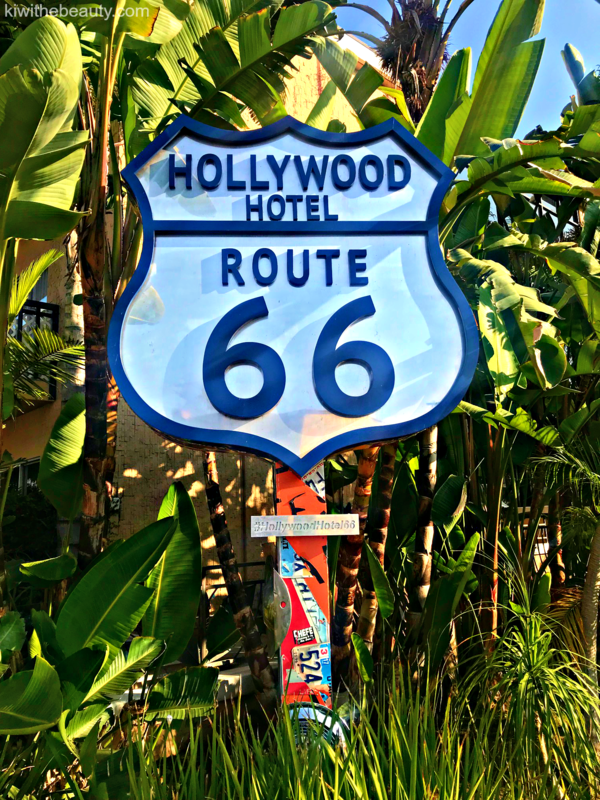 Learn more about the Hollywood Hotel at www.TheHollywoodHotel.com. I will definitely keep this in mind for my trip to the USA next year! It looks like this hotel has a lot of charm! The hotel looks lovely, quite homey I would say. I like how bright everything is in the room, and the bathroom definitely has a retro feel. This looks like a really nice hotel. I have been wanting to go out to LA and this would be a really cool place to stay and check out. This looks like a great place to stay! My daughter and I hope to make it to LA one day. There’s lots to see and do there! I love that bathroom too so spacious. I need to stay in more hotels. This is one of my favorite hotel that we stayed when visited Los Angeles! I highly recommend if anyone going to LA to pick the Hollywood hotel it is perfect location to go Grifftih park and many more sightseeing. Great hotel review! I will add this to my travel list! I hope to visit LA one day, and this looks like a nice hotel! I LOVE it! That throwback vibe is one hundred percent pure awesome. I’d love to stay there. I’ve only been to Los Angeles one time and it was just driving around. This would be a great hotel to stay at if I ever make it back out there! I LOVE the vibe there. It seems so very homey and comfortable too. I have yet to stay in LA. I passed through once on the way to a blogging conference but that’s it. This looks amazing! I would love to stay here while visiting in the US!! So many new places to discover! That looks like a great place to stay. They have good decor, looks like lots of space to relax and enjoy themselves. Looks like you had a good time. The Hollywood Hotel looks awesome in this post. It also seems great for a prom venu that the readers at PromGuide would be very interesting. Hollywood hotel looks like a great place to stay! I’ve never been to the Sunshien State, but it’s definitely on my list! It looks like you found a really special place to stay. Its like Grandmas house 30 years ago. 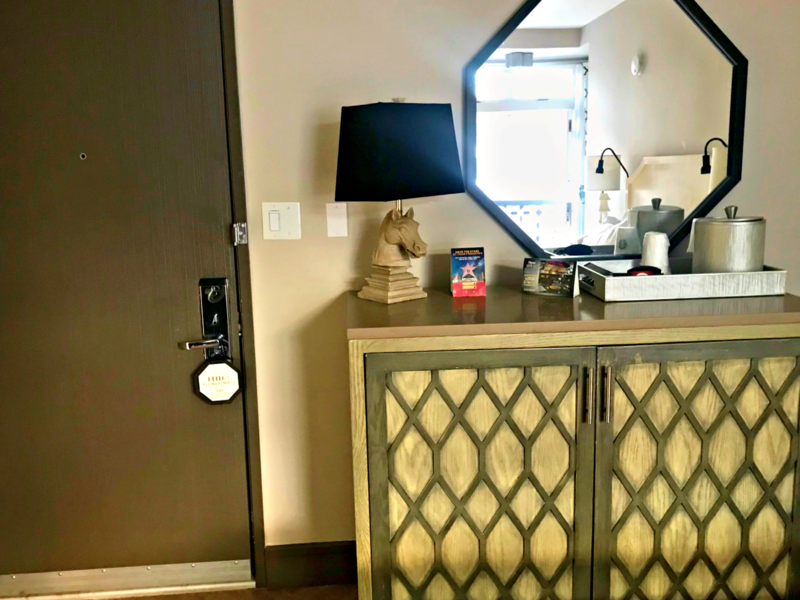 The hotel looks adequate and offers some added perks like vegan breakfasts, complimentary shuttle to Universal Studios and even bike rental to avoid you putting on those extra calories. Sounds like a great weekend getaway! Would love to visit with my family! Wow! Those accommodations look amazing! That is one awesome hotel, with lots of amenities. What an amazing getaway! The Hollywood Hotel is somewhere I feel like I have dreamed about but never seen in person. My husband and I could use a staycation there. A night at the comedy club paired with glamorous extras sounds perfect. That courtyard is fabulous. This looks like a really charming place to stay. I so appreciate suggestions from people who “have really been there” and not just the glossy recommendations from marketers! Love your pictures! That helps so much! Perfect suggestion for our next trip to SoCal next summer. Love the pictures you took because of how much detail you can see of the amenities of the hotel and it’s feel. This looks perfect hotel to stay. I am totally loving it the interior the view each and everything is perfect and the facilities/amenities which you mentioned in the article is amazing. I believe that some movies were shot here no? This hotel’s garden and pool looks so familiar! Trust me, the name Hollywood hotel would be enough to drive me to the place. Haha! Anyway, I love the view of the outdoors and the swimming pool mostly since they look so great! Los Angeles definitely is on my travel bucket list! this hotel looks so so nice! The name suits is so well! I’ve never heard of this hotel, but it’s adorable. I just love the bathroom design. I loved the outdoor patio with all of the plants. I am scheduled to be out that way in feb so I will show this to my hubby tonight. I am a self-proclaimed hotel snob. I truly love your pictures and attention to detail.Id love a staycation in a pla e just like this. what gorgeous accents and decor! 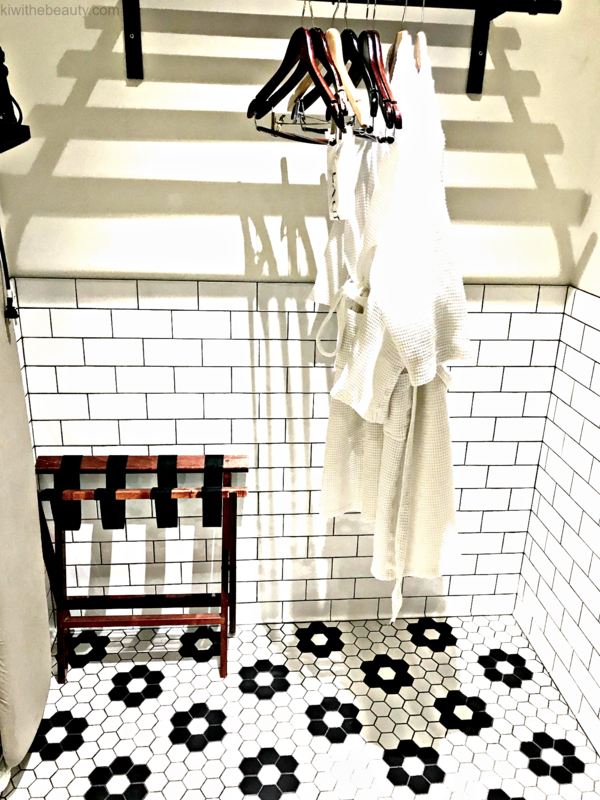 I love the subway tiles and the black and white floor tiles. It reminds me of my home in Brooklyn. If we get to LA i will check it out. I have never been to Cali. This makes me want to go even more. I immediately started singing get your kicks on Route 66. lol I love the balcony view, that in and of itself is soothing and relaxing. You stay at the best places. 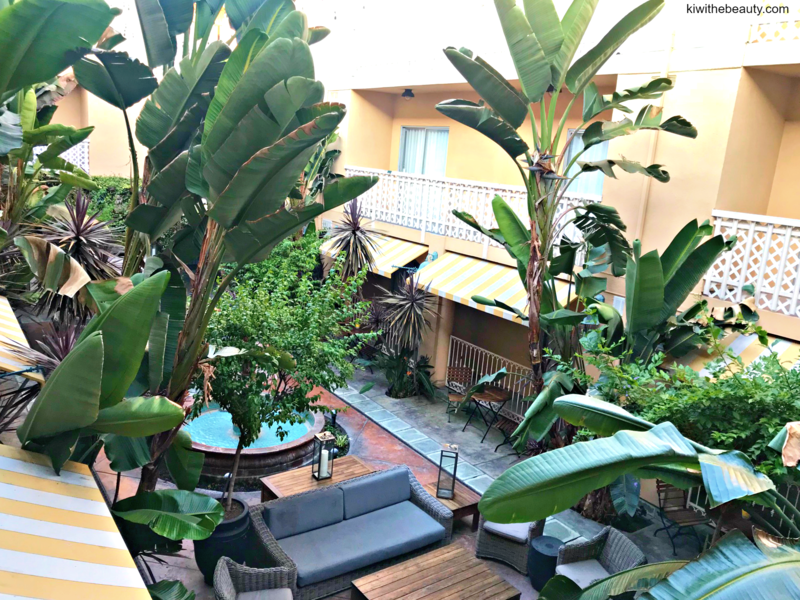 Such an adorable hotel in Hollywood! I’m so hoping to go back sometime next year – it’s such a fun place to visit. This hotel looks amazing!! I love the Retro/Modern vibe that it gives! I really want to go back to California its been years since I’ve been there! Ohhh this hotel looks so cute! I love the interior and exterior decor! I will have to look into it when I make a trip to LA! Awesome tips, this will definitely be helpful for those looking up places to stay in Cali!